ClosetMaid began with a desire to help people improve the storage in their home. Founded in 1965 in Delray Beach, Florida, ClosetMaid were the first to manufacture ventilated wire shelving for closets in new home construction. ClosetMaid quickly grew, and in 1970 moved to the current headquarters in Ocala, Florida. Today ClosetMaid are the worldwide leader in home storage and organisation, offering innovative wire and laminate/wood storage systems for use in bedrooms, kitchens, family rooms, laundry rooms, home offices and garages – wherever people need to store and organise their things. 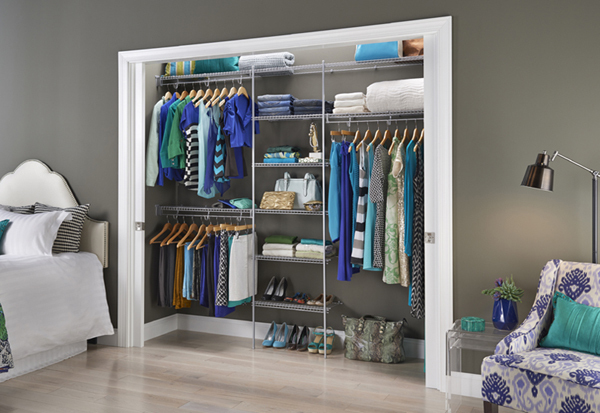 ClosetMaid manufactures the broadest line of high quality wardrobe and storage systems in the industry. Each storage system can be purchased and designed specifically to your needs. Whether you have a standard size/ shape or an awkward are that you'd like to make the most of, we can offer kits, packages, components and bespoke systems to suit your function, aesthetic requirements and budget!